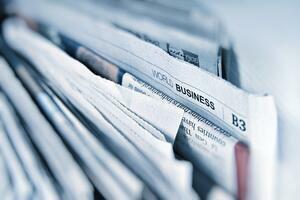 Earned media coverage is a way to reach audiences and share your company’s message. A common way to make an announcement is to distribute a news release on a newswire. What does this actually do to reach audiences? How do you know earned media coverage is successful at telling your message? Media impressions are a way to count how many people saw the earned media coverage. At Axia Public Relations, we go beyond media impressions and measure numbers that really matter in PR campaigns and to the C-suite. **DISCLAIMER: Axia DOES NOT use ad value equivalencies in its measurements. We don’t consider AVEs a credible number to measure media coverage. We, alongside top industry associations removed AVEs from our measurement practices. We recommend removing AVEs from your media measuring process. To help, here’s a list of real numbers we recommend to measure earned media coverage. Interest and liking with engagement likes, follows, shares, retweets, pins, etc. Quality of your message is just as important as quantity. Make sure you monitor Google Analytics to see web traffic spikes around media coverage; a great way to put this together is a double line graph. Make sure you’re using HubSpot to attract customers with inbound marketing by providing valuable PR content to your ideal customers. Axia PR tips and hacks: Track this benchmark number first, before you begin PR campaign activities, so you have a confident starting point. Go beyond measuring media impressions in your earned media program. Track numbers that support your objectives and measure what really matters in your PR campaign. It’s important to discuss measurement early with your PR firm to define what success will be for your PR campaign. Established brands invest additional company resources, making sure the research and measurement processes are correct. Is your current PR agency measuring the quality of your earned media coverage? If not, it’s time to find a better PR partner. Read Axia’s e-book “How to Fire Your PR Firm” and learn what you should expect from your PR firm. Clients love Katie’s energy and enthusiasm. 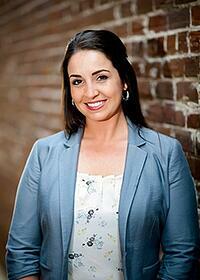 She works with national clients to develop their PR program’s research, planning strategy, and measurement. Katie has worked with Axia Public Relations since September 2015. Learn more about Katie.